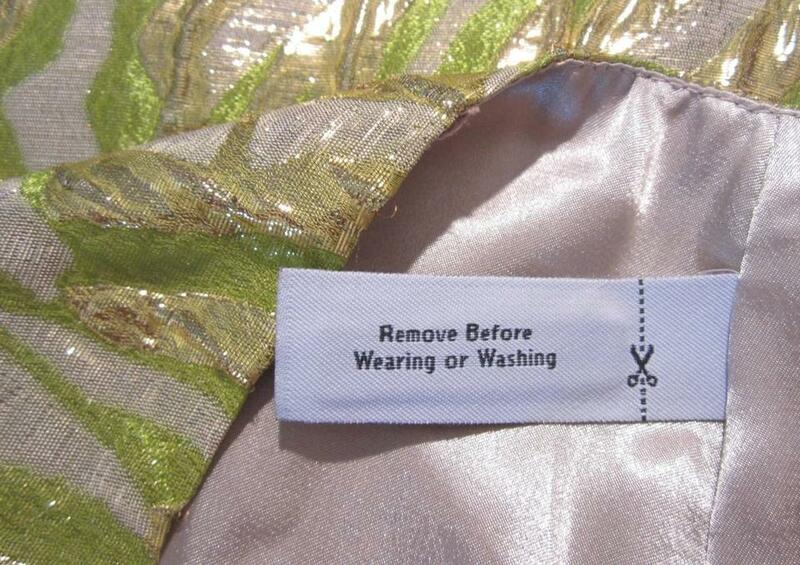 Stunning J. 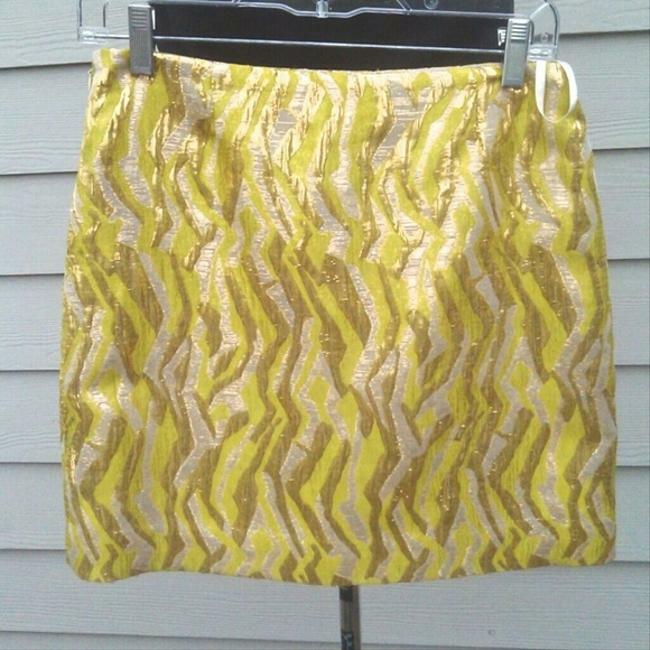 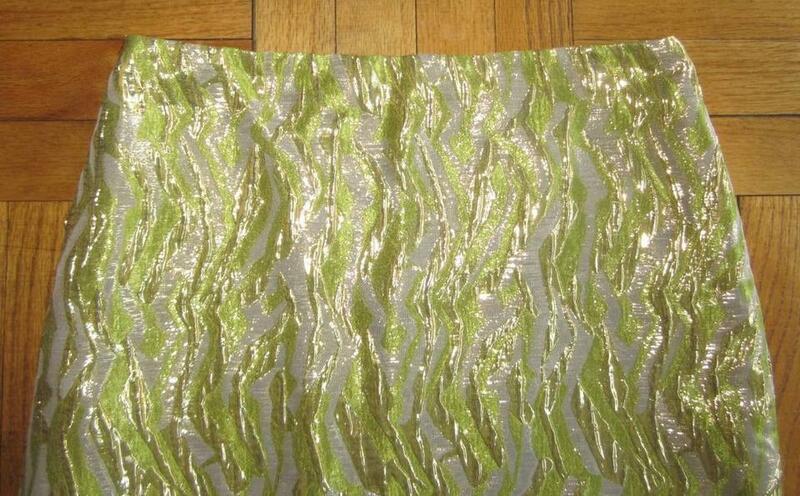 Crew Collection gold and green seaweed metallic mini skirt. Flattering slight A-line, a side zipper closure, fully lined. 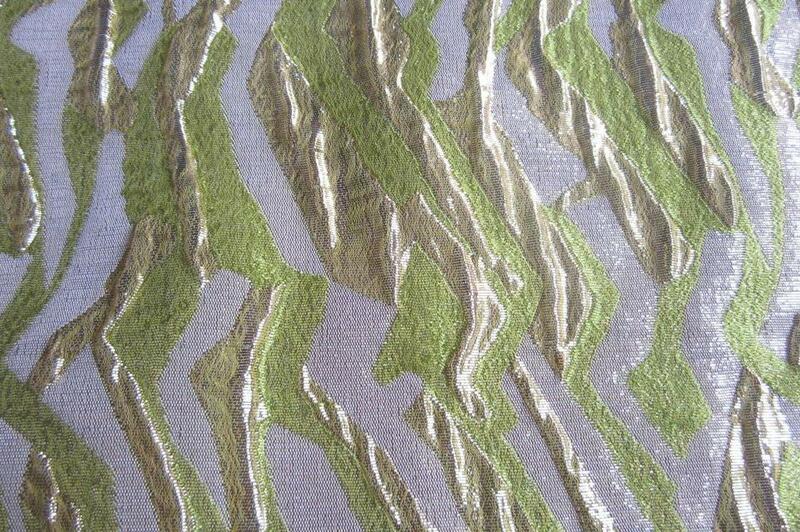 30% Rayon, 23% Polyester, 20% Nylon, 17% Metallic and 10% Silk. Polyester lining. Measurements are approx. 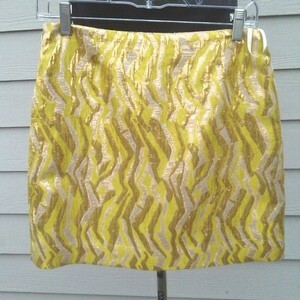 16" in total length and 16" across the top waist laying flat.